Sign up to Dry July Australia 2018 and raise funds for Blacktown and Mount Druitt Hospital Cancer and Haematology Centre. Blacktown and Mount Druitt Hospital’s Cancer and Haematology caters for Western Sydney people who have been affected by cancer. We provide specialist care for haematology, medical oncology, radiation oncology, palliative and supportive care. In 2018, we are raising funds to continue our complementary therapies options – art therapy, music therapy and exercise physiology. 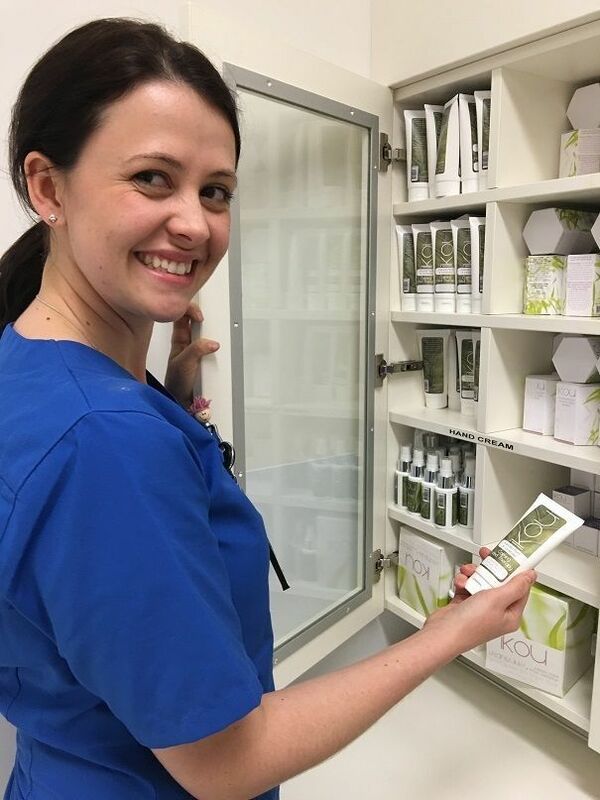 These programs provide distraction, reduce anxiety and allow for social interaction between our patients and have become vital parts of their treatment regime. Our comprehensive cancer centre has a focus on quality of life and person-centred supportive care and with your help we can raise vital funds. With a range of ambulatory care services and an integrated multidisciplinary team approach our staff provide a high level of health care to all patients. We're proud to announce that Blacktown and Mount Druitt Hospital Cancer Centre has received a grant from the Dry July Foundation. Meet Susan Hale – a vibrant, bubbly 72 year old with an irresistible smile and laugh who lives life to the fullest. Just 12 months ago, Sue was diagnosed with lung, liver and bone cancer with a prognosis of just three to six months. Determined to win the fight for as long as she can, Sue with the wonderful support of her husband of 51 years, Barry, has ticked most items off her bucket list and held a birthday event last November for all her three children, eight grandchildren and many friends. Sue is determined to make a holiday with friends in September followed by a family wedding in February. 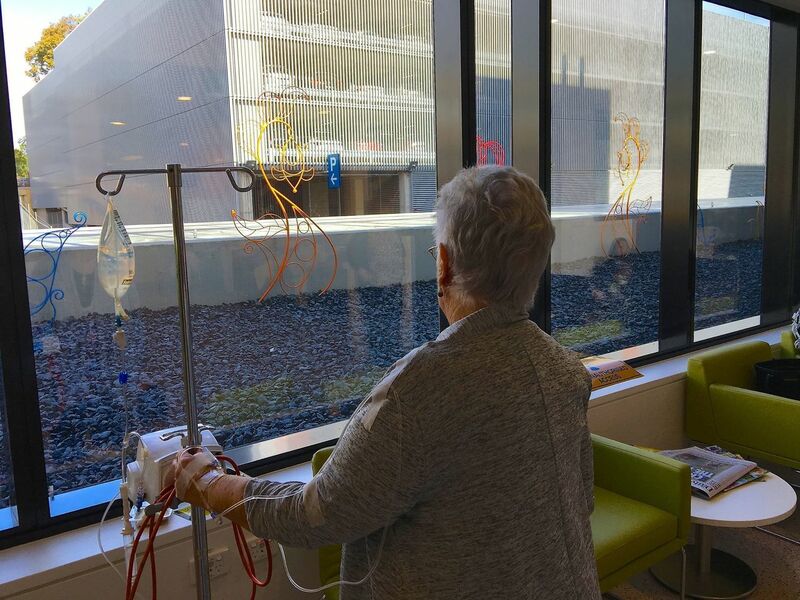 Sue and Barry visit the Blacktown Cancer and Haematology Centre every fortnight for infusion treatments. 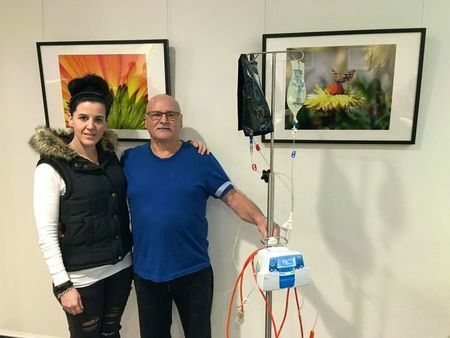 This takes a physical and mental toll, but as soon as Sue walks into the centre, her vibrant zest for life encourages and inspires all the other patients and carers to keep pushing through. 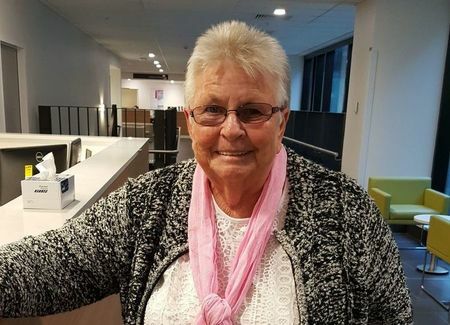 Having been through surgery, radiation and chemotherapy treatments and now infusions, Sue is determined to overcome the pain as much as possible and keep smiling. 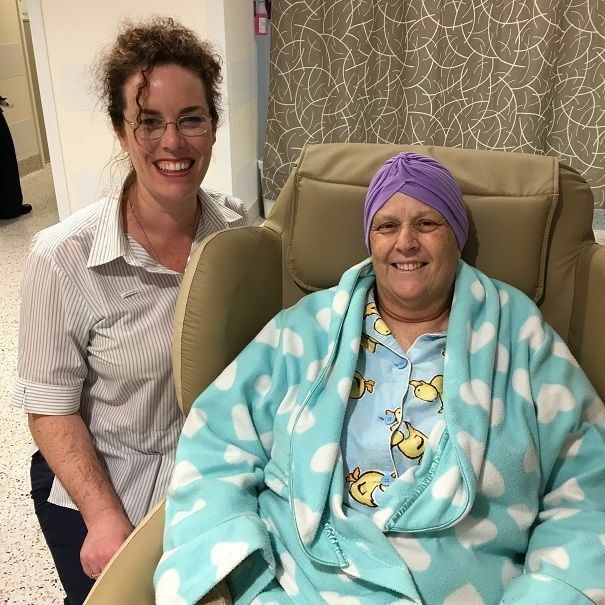 Funds raised via Dry July provide supportive care options for the patients – Sue was thrilled to receive pamper packs and spend her treatments in comfort in an electric recliner chair. She always has a coffee using the Dry July machine and loves the artwork selections which are a good distraction and provoke good thoughts. Sue is thrilled that we are introducing physiology and art therapy options and she is determined to enjoy them as well. 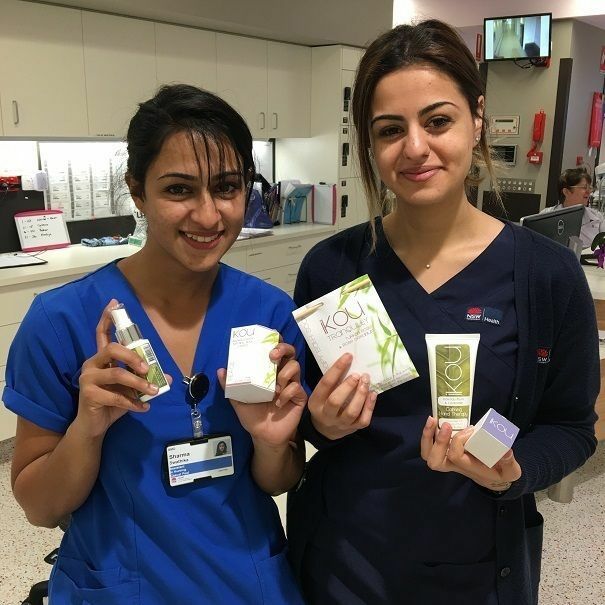 Blacktown Cancer and Haematology Centre will used 2016 Dry July fundraising to continue to offer complimentary pamper packs to patients. These little care packages include organic natural products like body lotion, hand cream, massage oil and soap. The centre was able to offer these for the first time in 2016 (using money raised through Dry July last year) and it was a great success with both patients and staff. The centre will also use funds to contract an exercise physiologist to conduct yoga classes for cancer patients at Blacktown Hospital. Some funding will be used to purchase equipment required. Yoga may help some patients reduce common side effects of treatment such as sleep issues, fatigue, nausea and anxiety. It can also assist with recovery and empower patients to follow a healthy lifestyle whilst undergoing treatment. 2015 was Blacktown Hospital’s first campaign as a Dry July beneficiary. Hospital staff can’t wait to start using funds in the new cancer centre when it opens in the coming months. 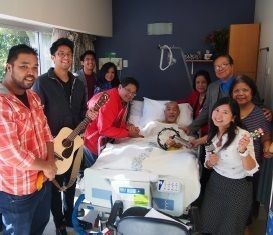 Portable entertainment (tablets with docking stations and a movie and music library) for patients. 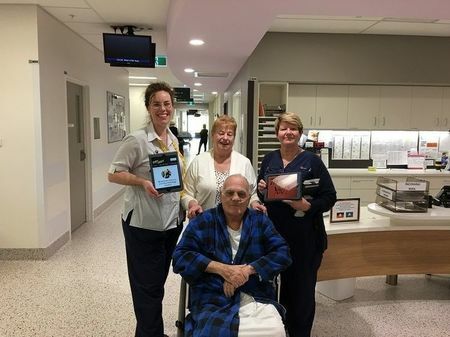 2 electric recliner chairs with mobile base to be used for cancer and palliative patients enduring extended sit-out times, and for maintaining pressure relieving care. These chairs will be used in the Mt Druitt Palliative Care unit as well as the Blacktown Cancer and Haematology Centre inpatient unit. An automatic coffee machine for the chemotherapy unit patient lounge. Landscape mural artwork to adorn the infusion centre patient lounge area walls, which are currently bare concrete..
Introduction of a music therapy program in the inpatient unit, to improve patients’ well-being during care and reduce anxiety.